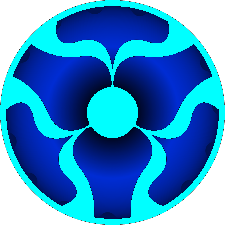 Atm Ochita can not control anything passed the "Unleashed Bijuu Power Form"
Chakra: Even when not in a "Bijuu State" Ochita is able to utilize the chakra of the four tail. Ochita is usually able to control this power perfectly, but in the event of increased anger he may lose control. Elemental Affinity: Do to the Four tail bijuu's elemental affinity for earth, Ochita is able to use several different earth jutsu even without entering a "bijuu state"
Power: Do to the powers of the Bijuu, even when not in a bijuu state both his speed and strength have been increased. Once entering the bijuu states his speed and strength slowly rise. Healing: It is currently unknown if the healing is actually do to the bijuu's powers or if Ochita just uses the bijuu's high chakra reserves to speed up his own healing skills. Ochita claims it to be the later of the two. 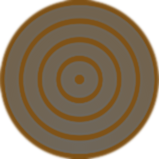 In this state a dark transparent dirt colored brown chakra will begin to cover ochita. In this state ochita gains even more of the four tail's power and his senses increase even more. His natural speed also increases. In this state the chakra around Ochita thickens and a single tail forms. The chakra mixes with Ochita's very being in order to form a thick barrier that will help block incoming attacks. In this state he gains access to even more of Fōtēru's abilities, and yet again his speed, strength, and scenes increase. This two-tails state is a further expansion on the one-tailed form. Ochita gains a second tail, and his eyes alter to a yellowish color that resembles the four tail itself. Ochita's speed increases drastically and he gains further access to the bijuu's powers. This three-tails state is a further expansion on the two-tailed form. Ochita first encases himself in the brown chakra and gaining yet another tail. After the chakra form is generated, bones will grow to form a dragon/serpent skeleton to surround Ochita. These bones are both thick and durable, the bones which on first glance look like normal bones, are actually reinforced with the four tail's chakra in turn making them stronger then most metals. The uncontrolled four tail state is only one of the two possible states once ochita enters the four tail state. This state is controlled by Ochita's and Fōtēru's rage. This state is a further further expansion on the three-tailed form. Over the bones a layer of muscle is formed over the bones from the third tail state. In this form Ochita's speed and strength are unimaginable and would over power most jounin level taijutsu masters. In this form he is highly unpredictable do to the bijuu's rage increasing his powers. This state is a further further expansion on the uncontrolled four-tail state form. In this from Ochita has four tails and looks like a mini version of the four tailed beast himself. In this form he has grown skin and even a pair of wings. His speed and strength is slightly less then the uncontrolled form, but this time he can control himself and think clearly being able to use his skills to the best of there abilities. In this form Ochita has transformed into the four-tail bijuu and has temporarily given up all control. This form is dangerous to use, because while it may be very strong and almost impossible to stop, it leaves the chance that the bijuu will take control and never return control to ochita. However if someone with sealing abilities was around, they could reseal the bijuu's power's back and help him regain control. In this form Ochita completely transforms into the four-tail bijuu but has complete control. Shousen Jutsu is a Ninjutsu technique utilized by medical ninja. This technique allows the ninja to heal wounds by focusing their own chakra to their hands. If the ninja is highly skilled, they are able to heal more critical injuries. Highly skilled medical-Nins such as Tsunade can use their techniques to perform surgeries that otherwise would not be possible. Chakra no Mesu is a special Ninjutsu technique used by medical ninjas. After forming the needed handseals, the ninja will focus chakra to their hands. When their charged hands reach the body of their target, they can extend the chakra internally into the targets body to cut and neatly slice their muscles and blood vessels without harming the surface skin. This technique can be used in battle, but because of its hectic nature, the fine precision required for an instant kill is not feasible. Damage can still be done to the vital organs, but the technique should be used carefully in battle. Raiton • Hiraishin is a Ninjutsu technique utilizing the Lightning Element. After coming into physical contact with her opponent, Fuuka will raise her arm into the air. She will then generate a bolt of electricity which will travel through her body into the body of her opponent. Kage Bunshin is a Jounin level Ninjutsu technique. When Naruto stole the scroll of seals, he learned this technique as well. The normal Bunshin technique creates a copy of the ninja that lacks any substance. The Kage Bunshin distributes the ninja's chakra evenly among the clones and creates a real copy with form and substance. The clone itself can also utilize any jutsu the original ninja knows. When the clone finally disperses, any new knowledge it has gained is passed back to the original ninja and any additional clones. This makes Kage Bunshin an excellent training method if the ninja has the chakra capacity and stamina to maintain the Kage Bunshins for an extended period of time. This allows the ninja to essentially reduce the time it takes to train and learn with each clone added. This is especially true when used with Tajuu Kage Bunshin. Description: This is a Ninjutsu technique that utilizes earth to create a Bunshin clone. Unlike a normal Bunshin, the Tsuchi Bunshin has the ability to interact more with the environment due to it having physical substance. This allows the clone to carry out attacks on its target. Also, elemental clones can think, but only on the rudimentary level, and the concentration for their jutsu needs to be maintained by the user. When this clone disperses, it reverts into a pile of dirt. - Each bunshin takes 1/10 of your chakra pool to make. - Bunshin have 1/10 the power of the user. This includes weapons, items, powers, speed, reaction speed, etc. - Elemental Bunshin can perform taijutsu, non-elemental jutsu, and elemental jutsu of its own element that the user knows, so long as the jutsu maintains contact with the elemental clone through the whole time. Note however, that an elemental clone only has as much chakra as the user gave it, and some of it is used to maintain the clone. Attempting to use a jutsu the clone no longer has enough chakra for will cause the bunshin to burst without the jutsu being performed. - Will disperse after a single hit or upon the user's command. Description: The user leaps as he performs the needed handseals. Instantly pillars of rock pop out of the ground and rise to his feet. One after the other, a pillar pushes the user's feet to move quickly between the previous one fading and the next one in formation. The pillars cannot reach too high (not higher than an average tree for example). Description: After performing a few handseals, the user places their palms on the ground and sends chakra into it, which will mold the earth into weapons by their own will. The size and density of the weapons depends on the amount of chakra used to create them. Range: 4m from anywhere within range of sight. Description: This is a tracking jutsu utilizing the earth element. The user will place their hand to the ground and feed chakra into it. The chakra increases sensitivity and will begin to relay all movements back to the users hands. Higher skill with this technique enables to user to almost envision everything that's going on when there eyes are closed, and even locate trees via roots or anything else beneath ground by sending out a chakra pulse acting as sonar. The more chakra poured out from the hand the better the range and the clearer the reading. By channeling his power through the Outer Path, Nagato can re-infuse new life force energy to the dead bodies of those recently killed. With their rejuvenated bodies acting as an anchor, the individual souls are then able to leave the crossroad between life and the afterlife, returning back to their physical vessels. The jutsu targets all the individuals killed, even those not necessarily killed by the Six Paths of Pain. There seems to be a limited time for when this technique can be used, as Nagato is unable to bring back those who have remained dead for an extended period of time, such as Yahiko and Jiraiya. This technique requires a massive amount of chakra, as it resulted in Nagato's death due to chakra overuse. Nagato became severely weakened, his hair becoming increasingly thinner and greyer as he performed the technique. Sorry but I have to deny the Rasengan as it was already reserved as a Namikaze only technique unless taught to you by a Namikaze. Again sorry for the inconvience. Ochita not having the Sharingan has come up with his own unique was to get around the drawbacks to the Chidori, utilizing the four tails chakra increasing his own natural speed in order to change course if necessary. All of my paths will be gained in this topic. I will be adding my paths as i acquire them. * Ochita can fight along side his paths because of a combination of an extensive medical procedure he put himself through and the chakra given to him by Foteru. * The main body is known as "Ochita". * When talking through a path to anyone but Nagato and Mikazuki he calls themselves "Misery". 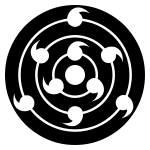 * All of the paths can use Ochita's bijuu chakra to preform jutsu but they will not enter a bijuu state. * Each path has a set of jutsu only them and Ochita can do. Chakra Receivers: Three small ones in his nose, two in his lips, one in his right eyebrow, six small rings around his ear, and one bar into each ear. Abilities: Manipulates Gravity and can use all of the skills Ochita has that are not acquired from the other paths. Other Important Information: The body of this path was Ochita's older brother who's name was "Enjeru" meaning "Angel". Banshou Tenin is a Ninjutsu technique used by the Deva Realm Pain. This ability allows Pain to manipulate external objects through an invisible force that emanates from the center of his body. This force allows Deva to attract and draw in objects or opponents. The force requires a short interval to recharge. To utilize the technique, Deva will raise one of his arms, which will send out the attraction force. If the person drawn in is able to anchor themselves to a nearby object, they can counteract the force. This can be overwhelmed though by a stronger pull. Chibaku Tensei is a Ninjutsu technique used by the Deva Realm Pain. Utilizing a form of his attract and repulsion force, Deva will create a compressed dark sphere which can draw in surrounding matter as a massive source of gravity. By launching the sphere into the air, it will begin to draw in the surrounding area, including both rock and natural matter. This allows Deva to imprison a powerful opponent. Due to the high chakra requirements to perform the jutsu, Nagato may need to have Deva within a close range to maintain it. A powerful enough force, such as a Kyuubified eight-tailed Naruto, can act against the attack and free itself from the rubble prison. When Nagato's ability to maintain the jutsu ends, the gravity force will stop and the rubble will fall back to the earth below. Nagato also revealed that though his version of the attack was impressive, it paled in comparison to the version Rikudou Sennin allegedly used to create the moon itself. Shinra Tensei is a Ninjutsu technique used by the Deva Realm Pain. This ability allows Pain to manipulate external objects through an invisible force that emanates from the center of his body. This force allows Deva to repel objects or elemental ninjutsu and deflect any attacks that are launched against him. The force requires a short interval to recharge. Deva Pain is also able to utilize a large-scale version of the technique, in exchange for a portion of the life force of his original body, that of Nagato. Nagato will drop control of all other bodies except for Deva. Deva will launch himself above his target area and hover using the gravity manipulation ability of the jutsu. Upon activation, the large-scale version is capable of obliterating large villages. Gentoushin no Jutsu is a Ninjutsu technique created by Pain and used by Akatsuki to gather at one location, even while members are in different parts of the world. By forming the needed handseal, an astral form of their being will appear at the desired location. This spirit can act in conjunction with other members to do combination jutsu like the Genryuu Kyuu Fuujin. While in the spirit form, the member’s voice will sound deep and distorted. Ukojizai no Jutsu is a Ninjutsu technique which allows Pain to blanket a wide area with a downpour of rain. He can maintain a connection to the rain and tell when someone is obstructing it. This also allows him to detect the individual's chakra level and skill. Chakra Receivers: Three of them in each eyebrow, seven studs in each ear, two bars through the nose, and her belly button. Abilities: This path has several summoning contracts and requires no hand seals or sacrifice to summon them. Other Important Information: This paths original name was "Kuricha"
A powerful jutsu, Ninpo Kuchiyose allows a ninja to summon animals and objects to fight on their behalf. The ninja normally signs a blood contract with the animal species, which allows them to summon different size and skill levels of creature. Chakra Receivers: Contains one in his belly button, three small pointed ones on the bottom lip, and one thin-long one out of the top of each ear. Abilities: Manipulating Sand and Posion, as well as being capable of absorbing any ninjutsu-related technique, thereby nullifying its effect. This technique could also take the form of a barrier around its body, allowing it to absorb attacks from all directions. In addition to its defensive properties, this body's ability had also shown offensive capabilities, as it could absorb all the chakra out of any person that it touched or grabbed. Other Important Information: Ninja's name originally was "Doku" meaning "Poisoned"
Chakra Kyuuin Jutsu is a special Ninjutsu techinque used by the Leaf ninja Yoroi. After activitating the technique, Yoroi's hand will glow with chakra. When he touches his palm on his opponents body, he can withdraw the physical and spiritual energy out of them. By reducing their chakra, it greatly increases his advantage over his opponent. Hijutsu: Kirisame Jutsu is a special Ninjutsu techinque used by the the ninja Doku, now known as "Preta Path". After activitating the technique, it begins to rain. 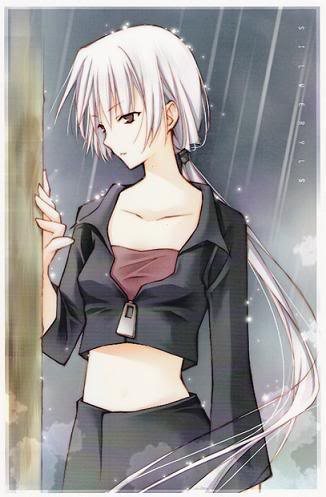 The rain eats up the chakra it comes into contact with that is not of the same signature as the original user. The chakra runs through the ground into the Preta path's feet and is sent back to Ochita. Fuujutsu Kyuuin is a Fuuinjutsu technique used by Pain to absorb the substance of incoming attacks. This seal will absorb both plain chakra and elemental attacks. He does this by reversing his chakra flow to draw the external attack deep within his body and nullify it. Kuusa Bouheki is a Ninjutsu technique utilized by the Sand ninja Gaara. Using his ability to levitate sand, Gaara will form a large protective wall to block incoming attacks, such as explosions. Because of the large amount of sand involved, the jutsu drains a lot of chakra. Rendan Suna Shigure is a Ninjutsu technique utilized by the Sand ninja Gaara. The technique functions similar to Suna Shigure, except instead of raining the sand down from above, Gaara fires the sand bullets directly towards his target. Suna no Mayu is a Ninjutsu technique utilized by the Sand ninja Gaara. It serves as one of Gaara's absolute defenses. After forming the needed hand seals, a sphere of sand will surround his body. This sand cocoon is made as a defensive measure. Ninpou: Doku Kiri is a Ninjutsu technique utilized by Shizune. This technique allows Shizune to expel poision gas from her body. This can serve as cover to escape and as an offensive technique against her opponent. Doku Suna is a simple jutsu that allows Preta Path to modify all of his sand jutsu in order for the sand he is controlling to become poisoned. Suna is a Ninjutsu technique created by Ochita. The shield that protects Preta Path does so under its own will. Because the protection is reliant upon how quickly Ochita can respond, it is possible a fast enough ninja can bypass the sand and strike Preta Path. This jutsu also doubles as an "Auto-attack," allowing Preta path to control the sand simply through the force of its "will." Chakra Receivers: a thin 'bolt' in each knuckle on both hands, a thin metal spear pointing to the ground from his ears, and a thick screw in both shoulders. 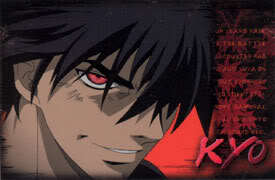 Abilities: Manipulates the "Explosion Release" and "Exploding Clay", can protract multiple blades and drills from its right arm in combat, physical raw power was enough to rip a person's arm off and crush their throat with basic Taijutsu moves, and in addition to its immense offensive power, the Asura Path's body was incredibly resilient to damage. Other Important Information: The Paths origional name was "Nendo", nicknamed "Nendo Nendo" meaning "Clay." Has a mouth on each of his palms and a large mouth on his stomach. Akatsuki member Deidara is an artist at heart, and he uses his modeling clay to fashion animals which help him in combat. This clay is fashioned into destructive art using the Earth Element. For that reason, the art models are weak to Lightning based attacks. The art models can take the form of birds for flight and exploding seeker birds and spiders. Deidara possesses two mouths on the palm of each hand. Withdrawing a bit of clay from his pouch, one of the mouths can consume the clay, imbue it with his explosive chakra and fashion it into a creature. Deidara can then make the item bigger after forming the necessary handseals. He will retain control over the item and can decide what actions the clay art will take. Each piece of art will be infused with one of four explosive chakra types: C1, C2, C3 or C4. C1 is used in most of Deidara's smaller art pieces including spiders, centipedes and birds. C2 is used in his favorite attack, the C2 Dragon combo jutsu. C3 was seen in his most powerful large scale attack, his Speciality #18 Jutsu. And finally, C4 is seen in his most deadly attack, the microscopic bomb C4 Karura. The bird shhown here allows him to run recon over his target area. It is highly mobile and can allow him to drop other art on his targets below.. He has various other bird types as well which can serve the same function. That of searching out an enemy and getting near enough to it for him to release the explosive seal and cause detonation. Fun Fact: The explosion resembles the Tower of the Sun statue by Taro Okamoto. This artist was also the inspiration for "Art is a Bang". Kibaku Nendo • Kyuukyoyu Geijutsu • CO is utilized by Akatsuki member Deidara. After removing the bindings sealing the mouth on his chest, Deidara will feed the maw a large clump of clay. After being ingested, dark veins will begin to emerge on his body as he infuses the clay with his explosive chakra. When the veins nearly cover his whole body, they will begin to retreat back into a sphere located near the chest mouth. When the veins totally retreat back into the clay, Deidara will ignite it causing a huge explosion which will cover a ten kilometer area. Akatsuki member Deidara is an artist at heart, and he uses his modeling clay to fashion animals which help him in combat. After withdrawing a bit of clay from his pouch, Deidara will use his palm mouths to consume the clay and infuse with his C1 chakra. C1 is used in most of Deidara's smaller art pieces including spiders, centipedes and birds. The creature shown here is a spider type homing explosive. These spiders will search out an enemy and get near enough for Deidara to release the explosive seal and cause detonation. Akatsuki member Deidara is an artist at heart, and he uses his modeling clay to fashion animals which help him in combat. After withdrawing a bit of clay from his pouch, Deidara will use his palm mouths to consume the clay and fashion it into a dragon which is infused with his C2 chakra. This dragon can release hundreds of clay mines. Akatsuki member Deidara is an artist at heart, and he uses his modeling clay to fashion animals which help him in combat. These can take the form of birds for flight and exploding seeker birds and spiders. Deidara possesses two mouths on the palm of each hand. Withdrawing a bit of clay from his pouch, one of the mouths can consume the clay and fashion it into a creature. Deidara can then make the item bigger after forming the necessary handseals. He will retain control over the item and can decide what actions the clay art will take. Deidara possesses a specialty jutsu which can cause massive damage. Deidara imbues his explosive art with his chakra, in this technique's case he imbues his clay model with his most explosive chakra, called C3. After he sends the model off, he can use a release command to detonate it. It is capable of leveling an entire village. Akatsuki member Deidara is an artist at heart, and he uses his modeling clay to fashion objects which help him in combat. After ingesting his clay into his real mouth, Deidara will expel the C4 chakra infused explosive clay from his gullet to create his most deadly Kibaku Nendo attack. This particular attack was developed to kill Uchiha Itachi. The expelled clay with combine to form a gigantic version of a cloaked Deidara. After forming the needed hand seals, the giant Deidara will explode into a fine cloud of microscopic clay bombs. These tiny objects will be controlled by Deidara's chakra as they move towards their target. The target will then unknowingly breathe in the cloud. These tiny objects will then travel throughout the body and detonate, causing microscopic explosions. This in turn causes the body to disintegrate on a cellular level. 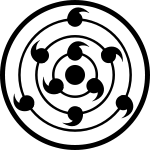 Note that the cloud of microscopic bombs contains chakra, so if the target possesses some means to see chakra, such as the Sharingan, then they can move to avoid the attack. Akatsuki member Deidara is an artist at heart, and he uses his modeling clay to fashion objects which help him in combat. This includes using his clay to create a clone. Should his opponent become intertwined with the clone, they will be held in place and unable to manuever. 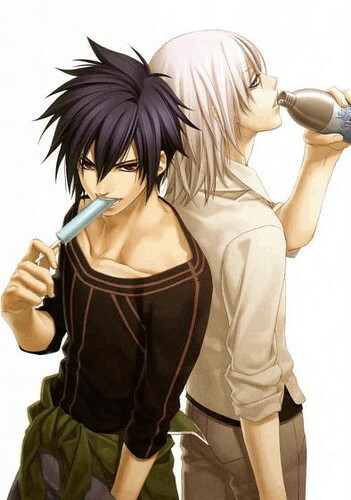 Because the clay is related to the Earth Element, it is weak to Raiton based attacks. This provides a means of release from the clay. After establishing direct contact with their opponent through a simple punch, the user utilizes their respective Explosion Release to subsequently generate an enormous explosion from the initial point of physical contact. This explosion is powerful enough to completely obliterate an opponent far larger than the user. Due to the directionality of the blast, the user minimizes any potential repercussions, such as being struck by resultant debris and even recoil appears to be completely negated. The user can activate this jutsu through a simple tiger hand seal. After activation through a shear force of will and release of chakra, the user can cause anything they have touched in the last 45 seconds to explode. This jutsu is a great use after a quick bout of taijutsu, do to being able to cause a small portion of the opponents body to explode. The Rikougan is a doujutsu created by the fusion of the Rinnengan, the Sharingan, and the Byakugan. This doujutsu is said to be the ultimate goal for anyone searching power. Holding the power of not only all three original doujutsu, but abilities unique to this doujutsu alone. The doujutsu takes a different form in each eye, the right eye holds a white eye with black ripples and tomoe while the left eye is a black eye with white ripples and tomoe, this symbolizes the ancient idea of Yin and Yang. The powers this eye holds is immense, do to the rinnengan it allows the user to control the five basic elements and the six paths jutsu. Do to the sharingan it allows you to copy jutsu seen before you, and do to the byakugan it allows you to see around you. Do to the fusion of all three of the known "Legendary" bloodlines, you can activate jutsu thought to be near impossible to use. It allows you to use a set of Mangekyou jutsu without the fear of loosing your eye site, it allows you to see completly around you instead of just most of the way like the byakugan. But the most important bump in this jutsu is allowing you to use the "Izangi" technique without going blind. These eyes allow the user to see chakra beyond the power of any of the original three doujutsu. The doujutsu allows the user to not only see the chakra, but determine; how much chakra they can use, the mood the ninja is in by how the chakra flows, and it allows them to see if a person is lying. It also allows them to have a signature "Third eye" while not truly an eye, this "third eye" is a technique used by the user to determine if something important will happen to the world in the future.